Want to be notified of new releases in peterbozso/OneTox? 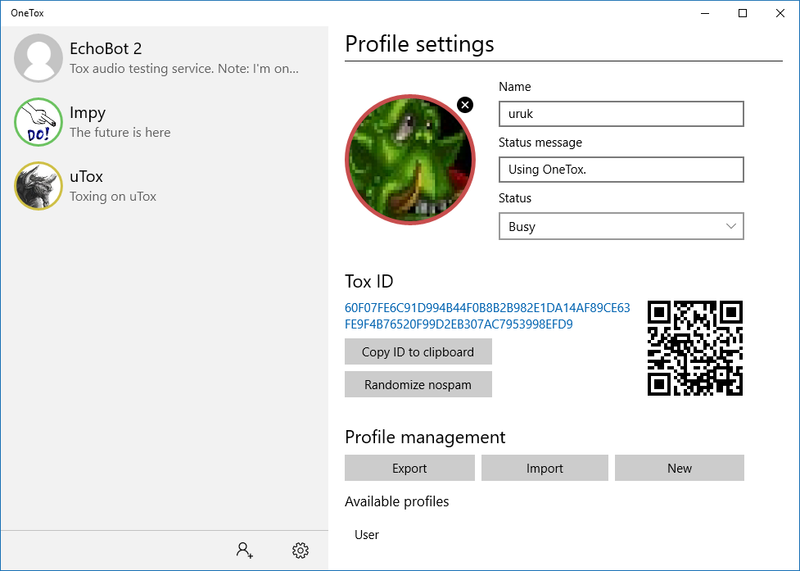 Work in progress Tox client targeting the Universal Windows Platform. The project was started within the confines of Google Summer of Code in 2015. It's primal aim is to produce a stable and feature-rich Tox client that follows all Modern UI best practices and conforms to the feel and styling of Windows 10 Universal applications. This client is under heavy development and it's very far from being complete. Pull or feature requests, constructive criticism or any other kind of contribution is very welcome! OneTox runs only on the desktop version of Windows 10 in it's current state. 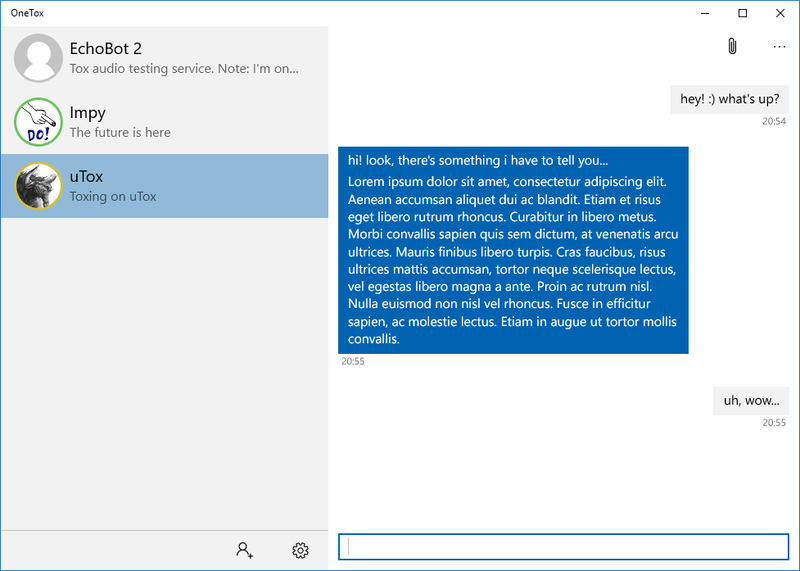 Windows Phone 10 support is planned for the future, but currently a full-featured desktop client is the main focus of the project. You'll need libtox.dll. (It's in the 'bin' folder of the zip.) You have to copy it to the 'libs' folder of OneTox. Of course we plan to add this dependency to NuGet later. Are you interested in the progress of development of OneTox? Do you have any questions about or comments on the project? Then don't be shy: join us on freenode!